Add to the nursery decor with these decorative cushions. 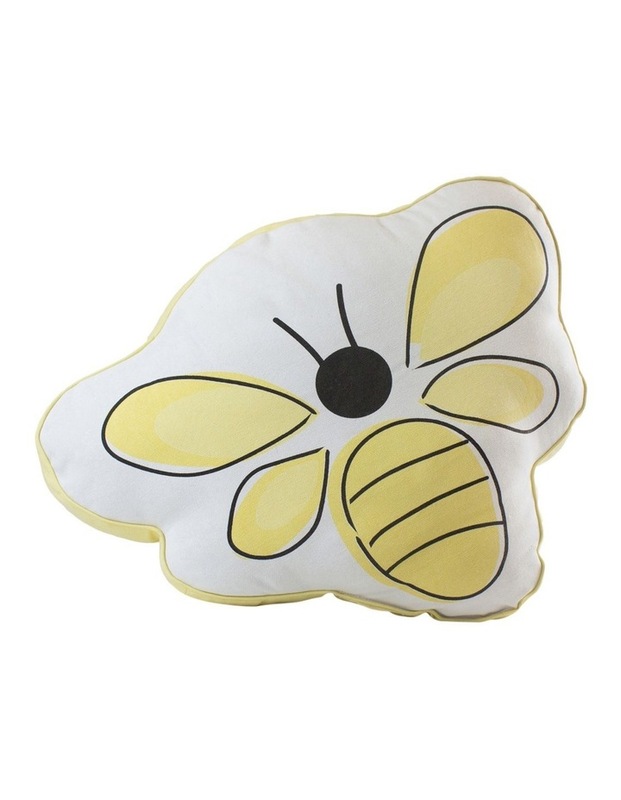 Our decorative reversible cushion features a busy honey bee character on the front, and a matcing print on the back. . Cotton outer/polyster filling .